Reading Challenge Book? Yes. This is a book about a current issue. I realize that the “book about a current issue” prompt was probably meant to steer readers to a nonfiction book. However, two things led me to this novel instead. First of all, while reading my way through this challenge, I was trying to stick to books that I already had in my library since I have quite a backlog of books I need to read. And the second reason? Well, I had just finished reading and thinking my way through a work of theology and I really wanted to read a novel. Several posts back, I mentioned that I had been gifted with several boxes packed to the brim with Christian books read and loved by my grandmother and her sisters. It’s a treasure trove of Christian reading that’s mostly from the 1980s/90s. I wasn’t quite sure where to start with the stash of vintage books. And honestly, I’m still not sure how the ratio of long-lost treasures to cringeworthy reads will shake out. I decided to start with a book that I read and reread as a young teen. It’s been a while since I last revisited Love Comes Softly and I wasn’t sure if it would stand up to my happy adolescent memories. An unexpected gem recently came my way. For as long as I can remember, my grandmother and her sisters have been devoted readers (I wonder where I get it from?) I have many memories of them reading and discussing books. One of my great-aunts is getting ready to move to a smaller house near her children and during the packing process, she called me. She had 3 boxes of books, and wanted me to keep what I wanted from the box and then donate the rest. I drove out and picked up the boxes this weekend. We had company, so I only got to open them last night. Friends, it is a treasure trove! I knew these ladies read a lot of Christian fiction, and these boxes are full to the brim with all sorts of books. There’s some non-fiction mixed in, but these are mostly fiction books. So far, most appear to be from the 1980s and 1990s. There are some classics I remember seeing as a child, such as Love Comes Softly, This Present Darkness or the House of Winslow books. However, there are lots of new-to-me treasures to discover, too. And that’s where readers come in. I plan to read through the books here, and see what new treasures I discover. There’s a pretty wide selection, so if you can think of any older (pre-2000) Christian novels that you’d like to see featured on here, I’ll happily read them if I’ve got them. Just let me know in comments. Thanks! 2015 was a wild and crazy year for me, folks. I started the year with my son’s major surgery and a week in the ICU, followed by long recovery. And then there were just all the ups and downs that came with being a first-time toddler mom. Hint: All those things people say about needing routines and planning your time are 100% completely true. In the midst of the chaos, I still got to read. And I read some wonderful books. Here are my favorite picks, both fiction and non-fiction, from what I read this past year. 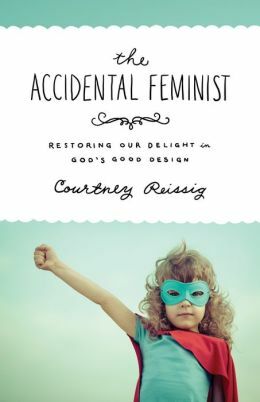 The Accidental Feminist by Courtney Reissig – I highlighted and underlined so much of this book! In terms of belief, I would say that my husband and I are both “old school” complementarians. We believe that what Scripture tells us about the roles of the sexes is correct, and we don’t agree with many of the liberal teachings that run counter to these verses. Likewise, we don’t agree with some of the teachings we’ve seen in recent years that take biblical complementarianism, turn it into a new gospel, and then use it to denigrate women. Courtney Reissig writes clearly and does a wonderful job of steering readers away from both of these problems. I’ve read a lot of the older books on gender roles, and I think this new book is important. It’s also a bit more relatable for people of my generation than some of the older books out there. 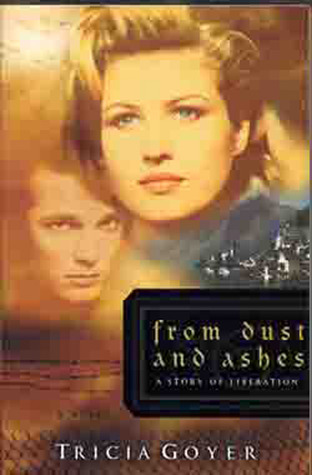 From Dust and Ashes by Tricia Goyer – I’ve reread this book several times and it occupies a permanent spot on my shelf. This novel, set in the aftermath of World War II, is a beautiful story of love, forgiveness and redemption. Goyer does a top-notch job of illustrating her themes without beating readers over the head, and the story itself is compelling. Great fiction and great inspiration! 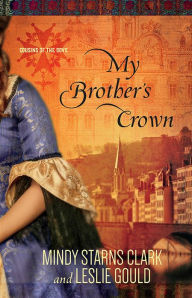 My Brother’s Crown by Mindy Starns Clark and Leslie Gould – I find church history absolutely fascinating, and this book was a wonderful window into Huguenot life. I knew some of the cold facts of their persecution, but seeing it brought to life through the eyes of the characters in this book made a powerful impression on me. An intriguing mystery and fantastic adventure as well. Unshaken by Crawford W. Loritts, Jr. – Not only is it full of sound theology, but this book by Crawford W. Loritts, Jr. also gave me a much-needed boost of encouragement. Loritts discusses faith in ways that are well-grounded biblically. However, in addition to giving readers food for thought, he leaves us with great encouragement. And because it is so grounded in truth, I found that it hit me at a deeper place than some of the books of encouragement I’ve read in the past. Beyond All Dreams by Elizabeth Camden – As a Virginia native, I’ve been on many trips to Washington DC. At its best, it’s a very inspirational city and there is much to see and learn there. This novel, featuring a young Senator and a brave librarian, gives readers a glimpse into old Washington. The story itself is intriguing, and I loved seeing places such as the Library of Congress, seen now as a traditional institution, when it was in its formative days. 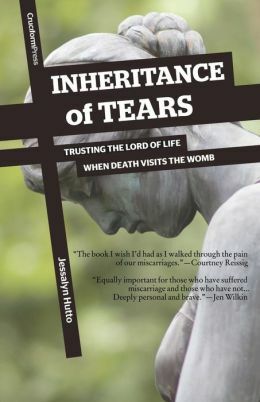 Inheritance of Tears by Jessalyn Hutto – Miscarriage is a painful issue for many, and it’s probably not a subject for many “Best of Year” book lists. However, this book is unique in that it provides solid reassurance for those who have lost babies as well as for those who care about them. 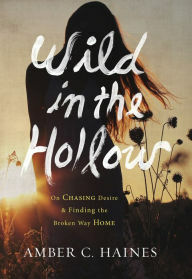 Hutto not only provides reminders grounded in Scripture, but also opens up her own life and makes herself vulnerable and approachable with her readers. I found this a very healing read, and I suspect others will as well. God Bless Our Fall by Hannah Hall – This is one of the most adorable books I read all year. My son loves the animal illustrations, and the rhyming text is cute without being saccharine. 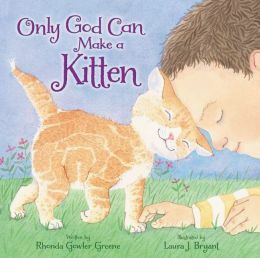 Only God Can Make a Kitten by Rhonda Gowler Greene – Another endearing read for children. Animal books are very popular in our house, and this account of a little boy’s chat with his mother is a sweet read for little ones. It’s only 8 books this year, but I have a feeling 2016 is going to yield a much fuller list of wonderful, “not to be missed” reading. I’ll admit something. While I tend to read plenty of fiction, both old and hot off the presses, I do tend to shy away from trendy books when I’m choosing my nonfiction reads. This is the review where I feel like I should start off with an apology. Harvest House very kindly lent me an ARC of this book, and I have been way too slow in posting my review. However, I am grateful for the loan because I enjoyed the book immensely, and I hope that you’ll read and enjoy it as well. The book is something of a timeslip, featuring stories set in modern-day Virginia and 1680s France. The modern-day heroine, Renee Talbot, comes from a prominent Virginia family. At their latest reunion, a 17th century document that has been part of her family legacy is about to be unveiled. And as the family gathers, Renee finds herself on a search for truth that will take her not only far in distance, but in time. I’ve not read Maggie K. Black’s novels before, but if they’re like this one, I might want to try reading her again. 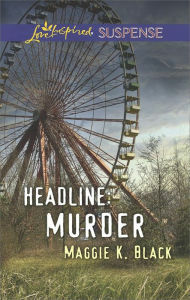 Headline: Murder is incredibly suspenseful and since the author starts her novel by throwing readers into the heart of the action, I found myself turning pages compulsively. The novel opens in a Canadian courtroom, as a crown attorney(prosecutor) announces that a construction company owner accused of having stolen from both the government and his own employees will now walk free. Reporter Olivia Brant is in court for the hearing and waits for the defendant in the garage to get a statement. Worried about her career, she’s anxious to write a big story that will land her name on the cover of her paper. I’ve been curious about this book ever since I heard about it. I’ve read Amber C. Haines’ blog off and on from back when her site was just called The RunaMuck. Some of the content I enjoyed back then looks like it’s been pruned away, but there are still good new blog pieces to be had there from time to time. 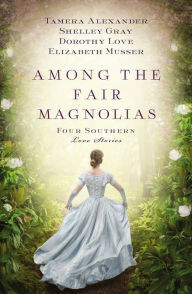 As a native Virginian, I enjoy reading about Southern history as well as reading stories set in the South. Even though none of the tales in this anthology features my home state, the authors cover a fascinating variety of settings and themes from pre-Civil War South Carolina, through Reconstruction. While the quality of the stories did vary somewhat, I ended the anthology feeling glad I had read it. A Love So True by Dorothy Love – Set in Pawley’s Island, South Carolina in 1860, this novella tells the story of Abigail Clayton, daughter of a successful planter with political aspirations. The tale opens as the Claytons prepare to welcome South Carolina society to their summer home for their annual barbeque. Abby anxiously awaits the arrival of Dr. Wade Bennett, the man she loves and longs to marry. 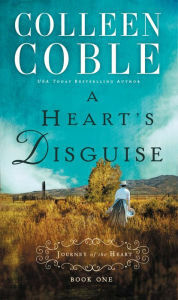 I’m more familiar with Colleen Coble via her books with contemporary settings, but I was aware that she had written historicals. When I read that she planned to re-release two early works that had been out of print for many years, I got curious. And when I saw that the release of the books would take place over several monthly installments, I felt more curious still. Given the chance to pick up the first part of Journey of the Heart, I pounced. How would this Victorian-style reading experience go? After all, I grew up hearing how readers of Charles Dickens eagerly clamored at stores for the release of the newest part of each of his novels. Posts on this blog contain a few affiliate links to help defray the book buys, but I promise you I won't go crazy with them. In addition, please note that, unless otherwise noted on a post, all books reviewed are books I bought and paid for myself.